The Hematoi descend from the unions of gods and mortals, and the children of two Hematoi-pure-bloods-have godlike powers. Children of Hematoi and mortals-well, not so much. Half-bloods only have two options: Become trained Sentinels who hunt and kill daimons or become servants in the homes of the pures. Seventeen-year-old Alexandria would rather risk her life fighting than waste it scrubbing toilets, but she may end up slumming it anyway. Story as good as narrator is bad! Seventeen-year-old Layla just wants to be normal. But with a kiss that kills anything with a soul, she's anything but normal. Half demon, half gargoyle, Layla has abilities no one else possesses. Raised among the Wardens - a race of gargoyles tasked with hunting demons and keeping humanity safe - Layla tries to fit in, but that means hiding her own dark side from those she loves the most. Julia Hughes has always played it safe until she learned a very painful lesson. Now Julia's starting over with a job in the Louisiana bayou, working for the infamous de Vincent family, the massively wealthy brothers who are haunted by a dark reputation and whispers of misdeeds. Hired to care for their troubled sister, Julia can't afford any distractions, but the menacing presence in the mansion and the ever-present temptation of the handsome Lucian de Vincent isn't something anyone can ignore. He's arrogant, domineering, and...To. Die. For. Hunter is a ruthless killer. And the Department of Defense has him firmly in their grasp, which usually doesn't chafe too badly because he gets to kill bad guys. Most of the time he enjoys his job. That is until he's saddled with something he's never had to do before: protect a human from his mortal enemy. It's a beautiful day for a war. As the mortal world slowly slips into chaos of the godly kind, Alexandria Andros must overcome a stunning defeat that has left her shaken and in doubt of their ability to end this war once and for all. 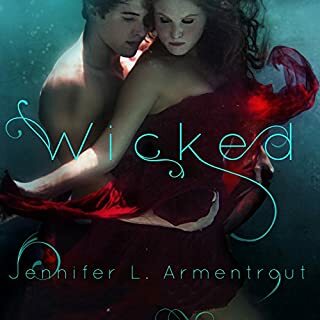 And with all the obstacles between Alex and her happily-ever-after with the swoonworthy Aiden St. Delphi, they must now trust a deadly foe as they travel deep into the Underworld to release one of the most dangerous gods of all time. Alex faces a terrible choice: The destruction of everything and everyone she holds dear...or the end of herself. For 21-year-old Sydney, being in love with Kyler isn't anything new. They'd been best friends ever since he pushed her down on the playground and she made him eat a mud pie. Somewhere over the years, she fell for him and fell hard. The big problem with that? Kyler puts the man in man-whore. 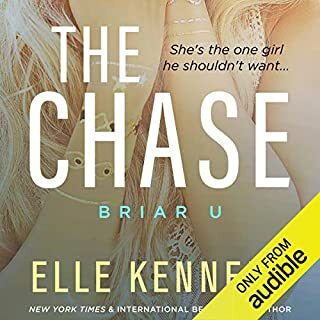 He's never stayed with a girl longer than a few nights, and with it being their last year in college, Syd doesn't want to risk their friendship by declaring her love. The last thing Dawson Black expected was Bethany Williams. As a Luxen, an alien life form on Earth, human girls are...well, fun. But since the Luxen have to keep their true identities a secret, falling for one would be insane. Dangerous. Tempting. Undeniable. Bethany can't deny the immediate connection between her and Dawson. And even though boys aren't a complication she wants, she can't stay away from him. Still, whenever they lock eyes, she's drawn in. Captivated. Lured. Loved. Dawson is keeping a secret that will change her existence...and put her life in jeopardy. But even he can't stop risking everything for one human girl. Or from a fate that is as unavoidable as love itself. Yes, I would recommend audiobook. Narrator nailed it. The Black siblings would always be there for each other regardless of any predicament they may encounter. Kiss scene between Dawson and Bethany in which he unintentionally begins glowing like a star. Yes, I listened to it in one sitting. Enjoyed narrator Justine Eyre. 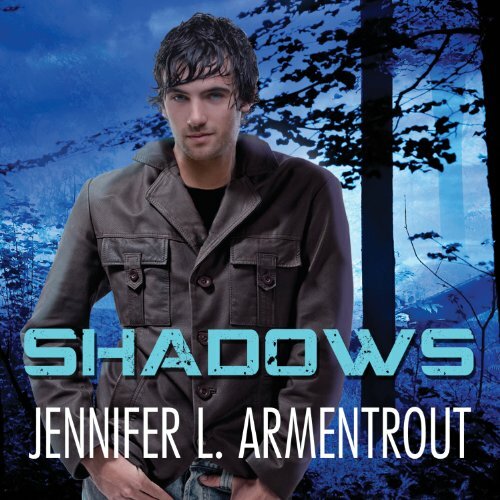 I read and listened to Shadows after I had read the whole series. The nasal voice of this narrator was so annoying that I cancelled the book less than 14 minutes into it. This woman opens her nose to speak! This book talks mainly about the relationship between Dawson and Bethany. Dawson is the brother of the main character of the rest of the series. 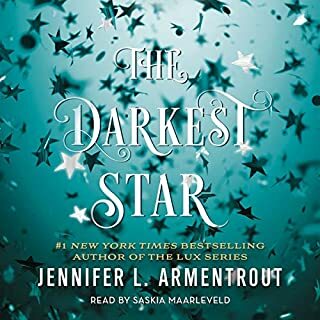 I didn't like getting engaged in the story of Daemon and Katie in the first book, then going back to a previous point in time to hear this story about his brother. I still enjoyed the book and it provided helpful context, but I would have rather read this one first to go chronologically. I think it would have made some of Daemon's actions in the first book make more sense to me too. It's also recommended by the author to read this one first. Hope that helps someone when deciding the reading order! Series Spoiler! Read as 1.5! I really enjoyed this book, however, it was a huge SPOILER for the first book in the series. 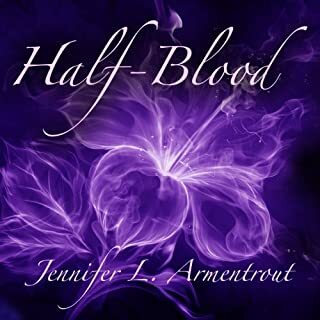 It took away the entire element of suspense and excitement for the main character as she unravels the mystery of Daemon Black. Who would you have cast as narrator instead of Justine Eyre? Rebecca Gibel or maybe Tavia Gilbert. Justine Eyre is great but her narration for this particular series doesn't seem to fit quite right. A different narrator. She sounded like she was pinching her nose while trying to use the restroom. It was distracting. I'm very easy to please when it comes to narration, but I couldn't take the sound of her voice for more than 25 minutes. She constantly mispronounced the names and some common words. It was almost painful. I've purchased the kindle version and will be requesting a refund on the audio version. Such a disappointment.